WhatsApp is already rolling out lots of new features. Recently WhatsApp had launched video calling feature for beta users on Android. 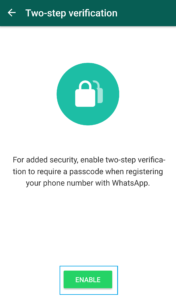 Now WhatsApp is rolling out two-step verification feature for android users. 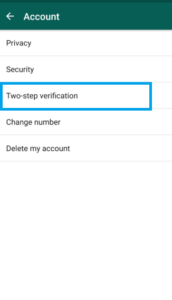 So, let’s have a look at How To Enable Two-Step Verification Feature In WhatsApp On Android. 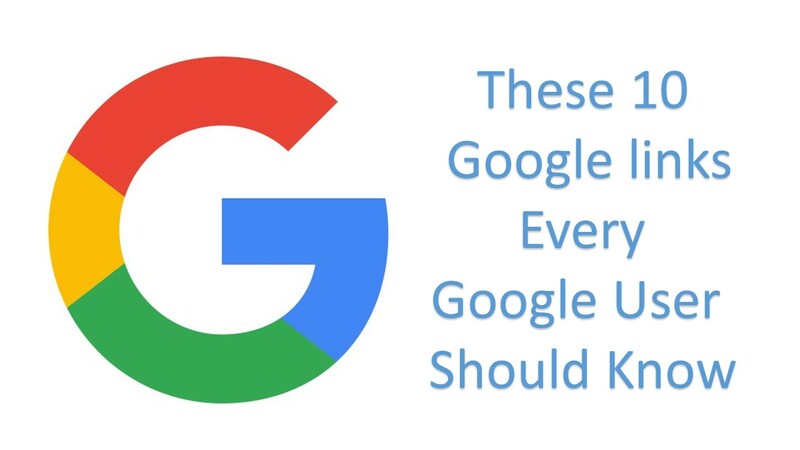 First of all, you have to click on this link and sign up with your Google account. Now, just hit on become a tester. 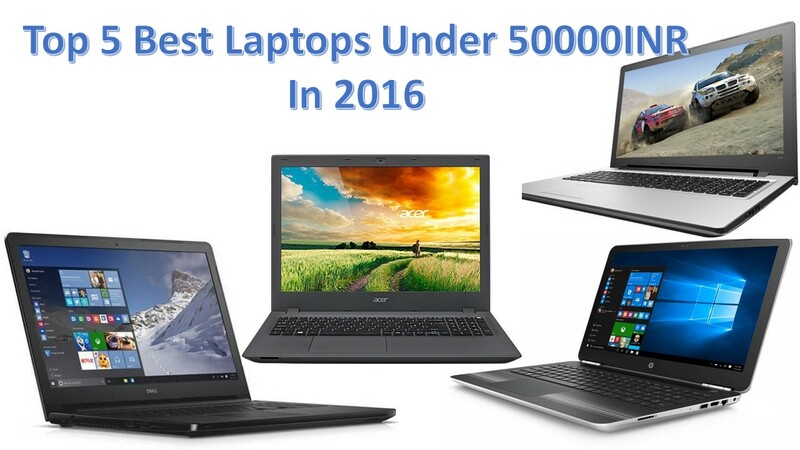 It will take some time to become a beta tester. After that process gets completed. 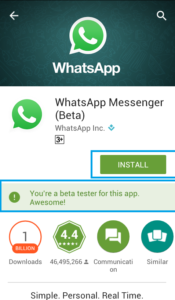 Open play store and search WhatsApp and you will see below the install or update button: “You’re a beta tester for this app. 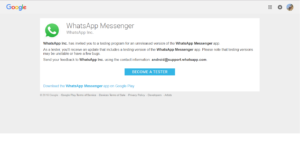 Awesome!” This proves that you are a beta tester of WhatsApp. 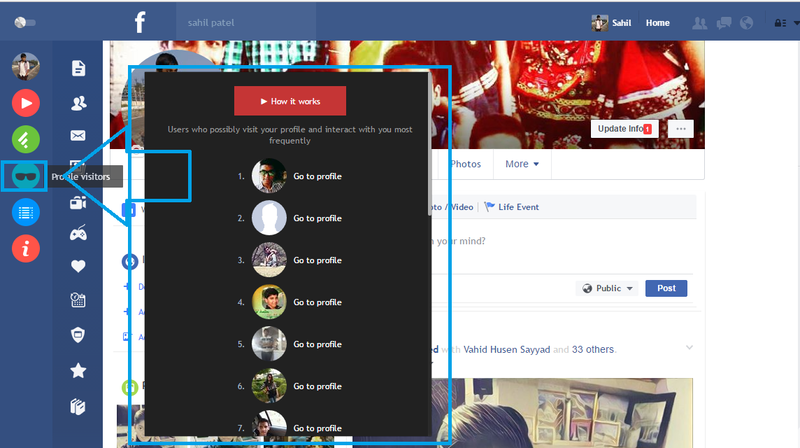 Now download or update that app and open WhatsApp. 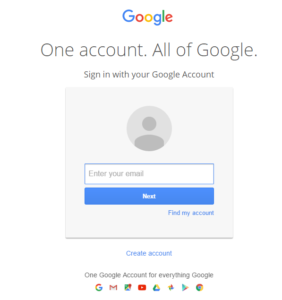 Now go to account settings and click on Two-step verification. 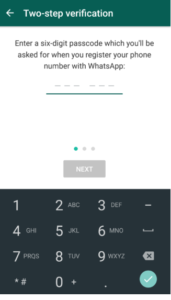 Now you have to type six six-digit password which you’ll be asked for when you register your phone number with WhatsApp. 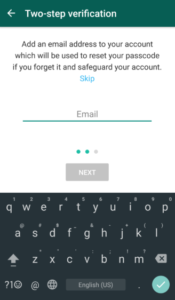 Now you have to give your email address to your account which can be used to reset your password in case if you forget it.